Fill the vase with only 2 to 2.5 inches of fresh, cool water. Too much water may damage the stem. 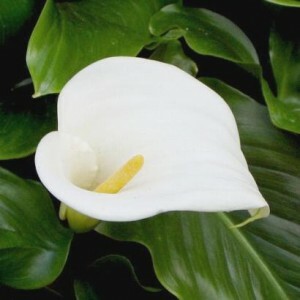 Calla lilies retain sufficient amounts of water in their stems for long periods of time. However, if they are left in bacteria contaminated water, starting from the bottom of the stem, the stem will become mushy. Just be sure to change the water daily, maintaining a water level of only 2 to 2.5 inches. Calla stems tend to split and curl up on the end. You will need to re-cut the stems every 24 hours to keep the flowers fresh, so be sure to save as much stem length as possible by cutting only the affected area.